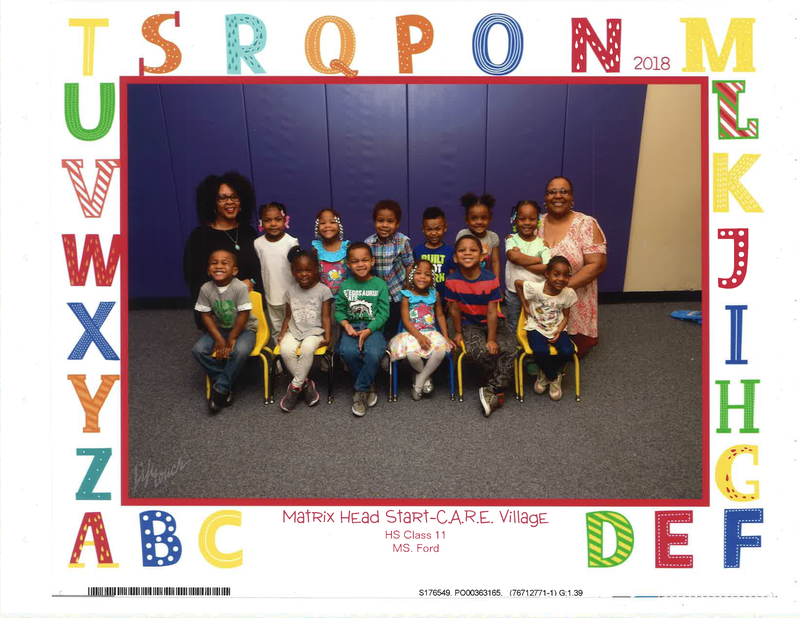 Jamila Ford, the lead teacher at Matrix Head Start‘s Care Village Center, strives to provide her students with the best experience possible. After initially wanting to become a journalist, Jamila was motivated by her mother to become a teacher. Jamila also witnessed teachers in her childhood that did not teach the basic fundamentals that students needed in order to be successful in school. This experience has helped her ensure that her students are understanding the material and learning at an appropriate pace. When talking about the importance of building a relationship with her students, she mentioned that building a relationship with the parents is just as important. Jamila stated that “You really have to reach the families. If you don’t reach the families you are going to have a really hard time drawing that connection between school and home.” She says that once trust is established, the parents are willing to volunteer in the classroom and help with homework. Jamila’s success in the classroom did not come without hard work and challenges. Lack of classroom supplies has always been a difficult challenge to overcome. Jamila stated that “Being able to execute the curriculum to its fullest is sometimes difficult because we don’t have the supplies that we need.” There are times when she will have to change or cancel her activities due to low supplies; however, Jamila is so committed to her students that she purchases supplies when supplies get too low. Through all of the challenges, Jamila is able to overcome them with the constant motivation she receives from her students. Her love for them drives her to continuously show up to the classroom and give her students a wonderful experience. Even when the students pass the class and move to another teacher she still visits them and ensures they are doing well. This passion is why parents enroll their children into Matrix Head Start. The parents know the teachers are going to take care of their children and give them a good education. Jamila plans to continue her work at Care Village and build lasting relationships with her students. Her story is remarkable for someone that initially wanted to study journalism.